Every season, I can’t wait to update my front door decor. 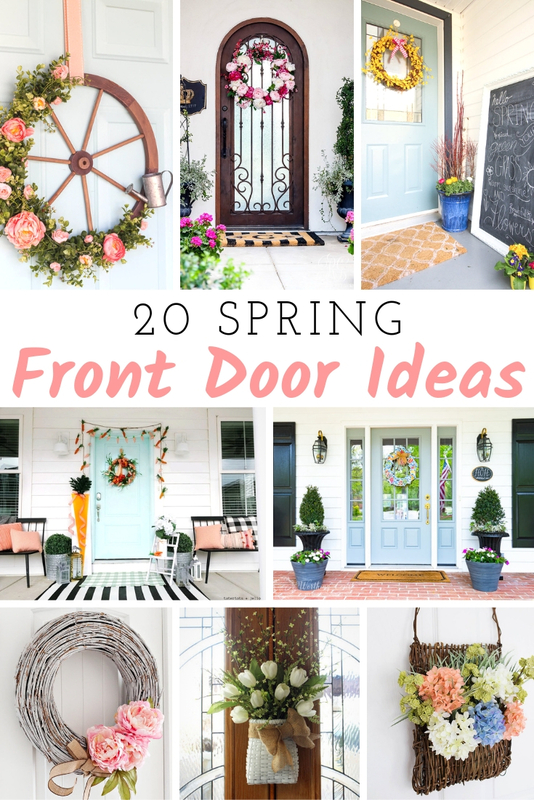 Spring front door ideas are especially fun because with the warm weather comes all the new flowers for the season. I love using inspiration from the season to draw the fresh feeling of spring indoors. 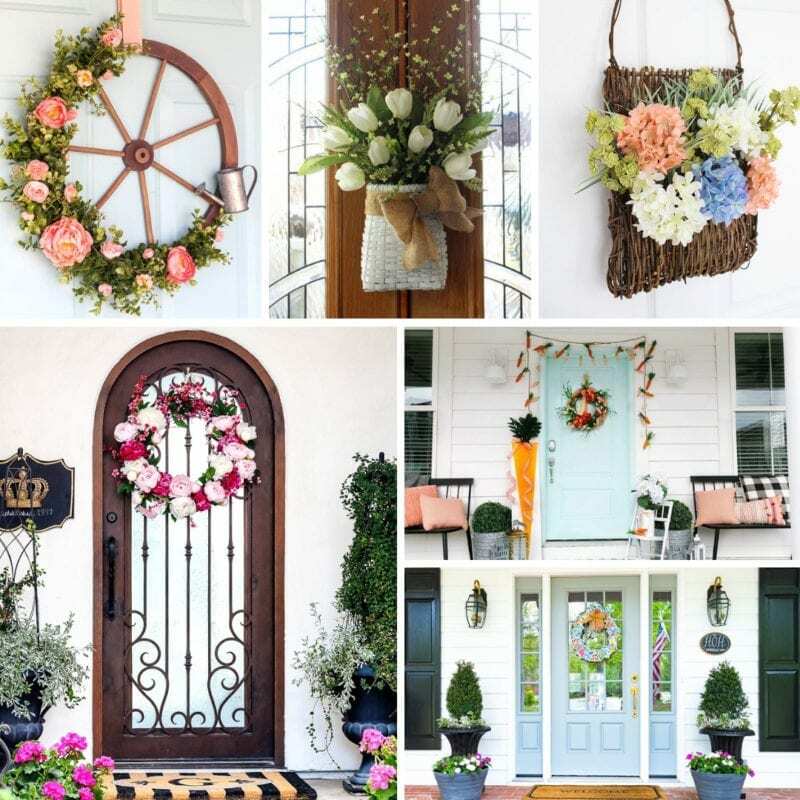 But my front door is always the first step in refreshing my spring home decor. I love using Eucalyptus as a base for seasonal wreaths. If you want to update your wreath every season like I do, you might find you can use some of the same greenery in the base again and again. Use more than one form of greenery. It helps provide texture and visual interest. Pick a focal point – like a larger flower in a color you love and build around that. Work in odd numbers – use 1, 3, or 5 bunches of your main flowers, not two or four. Even numbers can look too symmetrical. Use smaller flowers in complementary colors and textures to help your wreath look full and lush. Floral accents are a fun way to add charachter and seasonal touches. 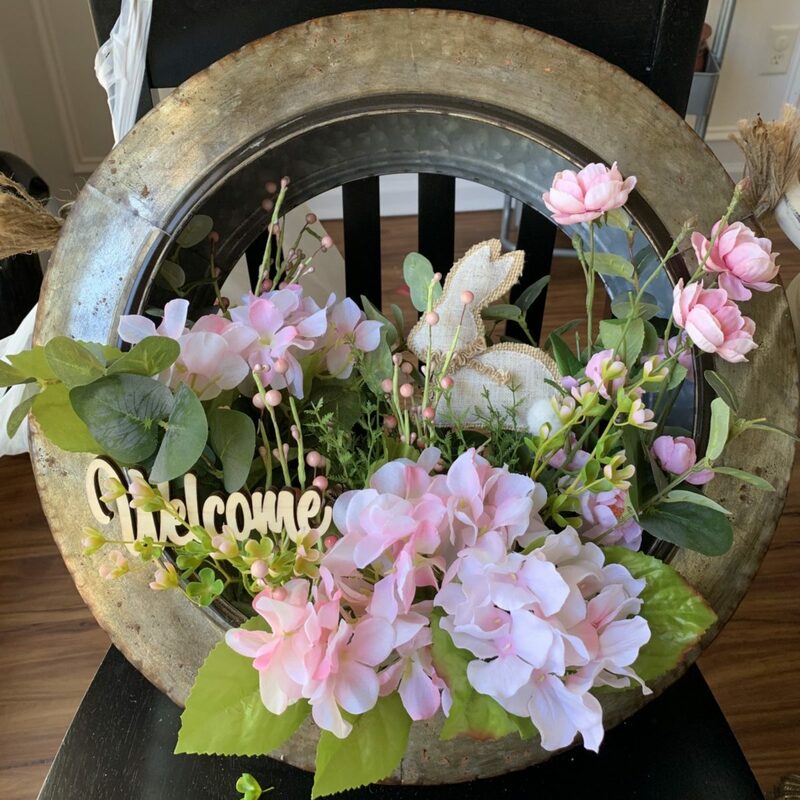 Here is my current spring wreath for my front door. I love the little bunny floral accent. 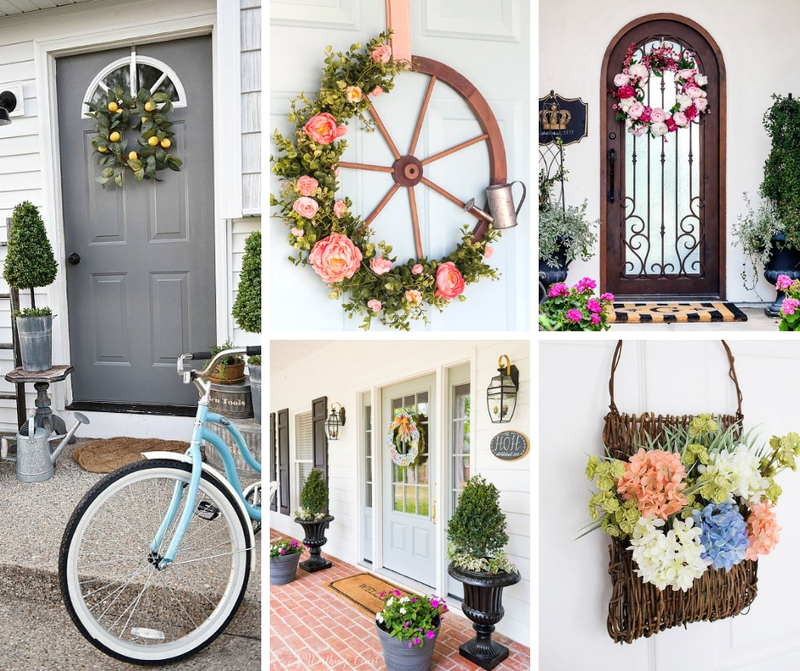 There are so many beautiful and creative front door decor ideas that I collect them every season so that I always have ideas. 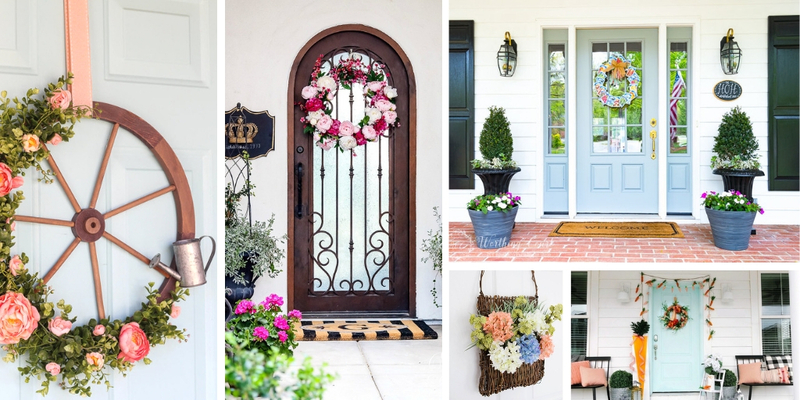 You can find Fall front door ideas, Winter front door ideas, and Summer front door ideas too. These are some of my favorite spring ideas. There are so many creative ideas for color and texture. I love the farmhouse-inspired ideas because that make it so easy to express your family’s personality in your decor. I want to see your front door decor too! Jump to instagram and check out our decor ideas! Tag yours posts with #ohsocrafty so I can see them too! I would love to share my favorites in stories!